The Princes Lubomirski family has been present in the history of Poland since its dawn. First, shrouded in legend, mentions of the family refer to the 10th century. At that time the Lubomirski family settled at the Śreniawa River in Proszowski and Szczyrzycki poviats. Two branches of the family might have existed. The family legend has it that at the time of Mieszko I they demonstrated bravery in battles against pagans. For this deed they were rewarded with the rank of knight and the coat of arms. The fellowship (Szreniawa without a Cross) depicts bends of the Szreniawa River in the form of a letter S of white colour on a red background. 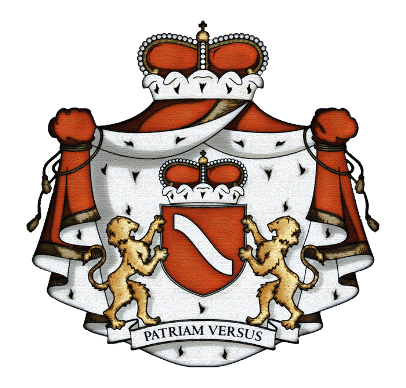 With the motto Patriam Versus (Turned to the Homeland) it has been used by the representatives of the family until now . Successive ancestors of the Lubomirski family performed important functions at the Piast and Jagiellonian courts. One of them was a canon at the Wawel court. Jakub Lubomirski served as a borough writer in the 14th century. The first written sources related to the family come from the year 1180. The most ancient mentions of Lubomierz – hometown – were recorded in the year 1398. The family estates, starting from Gdów and Szczyrzyca the family members ruled over yet in the 13th century has spread significantly. In the 17th and 18th centuries they covered Lubomierz, Nowy Wiśnicz, Bochnia, Wieliczka, Łańcut, Baranów Sandomierski, Puławy, Rzeszów, Równe, Tarnów, Jarosław, Janowiec upon the Vistula. To this day the castle in Nowy Wiśnicz has been the property of the Family Association of the Princes Lubomirski. A lot of estates were located in the territory of the biggest Polish cities: Warsaw (e.g. Mokotów), Kraków (Wola Justowska), Sandomierz, and Lvov. Maintaining residences in Drezno, Vienna, and Paris enhanced prestige. The Lubomirski family became one of the most powerful aristocratic families of the Republic of Poland at the turn of the 16th and 17th centuries. Influence of the family was mainly concentrated in the provinces of Kraków, Sandomierz, Stanisławów, and Ruthenia, to cover the whole area of the Commonwealth of the Two Nations later. The members of the family held the most important offices in the state: of starosts, governors, and hetmans. Four representatives of the family held the office of Grand Marshal of the Crown: Jerzy Sebastian, Józef Karol, Stanisław Herakliusz and Stanisław. They performed important political functions chairing the Sejms, forming a private army, many times representing the king at the courts of all Europe. They managed entrusted areas and private estates perfectly. Many times they had a decisive influence on the choice of monarchs. They were defenders of the nobility, who often entrusted them with their vote at the Sejms and in the election of kings. They introduced a lot of facilities and new solutions in their estates. Their arable farms were geared to industrial production; sugar factories, distilleries, and factories were built. They introduced equal rights for subjects, allowing Jews to buy properties in private towns, build houses; they vested judicial powers in them. The Princes Lubomirski also ran for the crown. 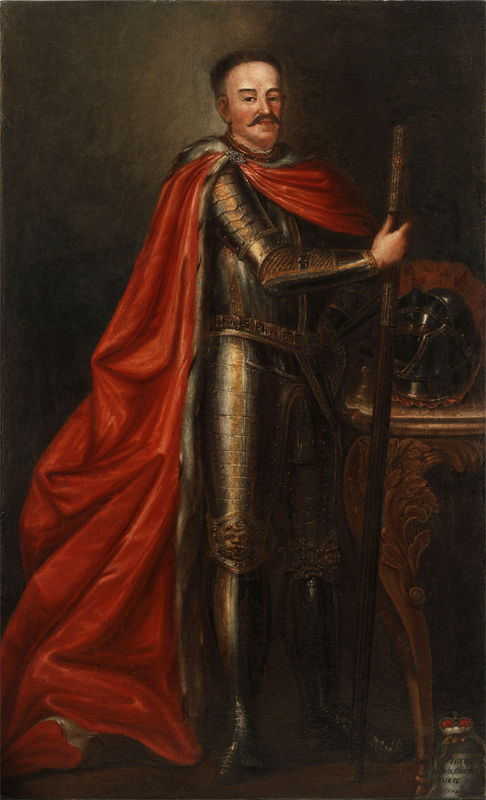 Grand Hetman of the Crown Hieronim Augustyn was the most serious candidate for the Polish crown after the death of John III Sobieski. 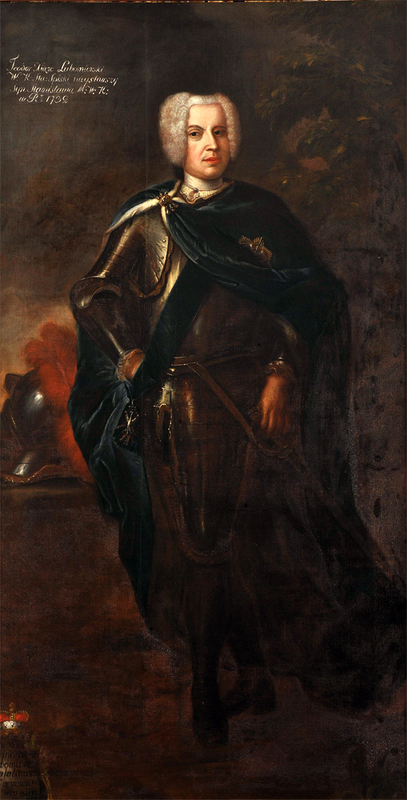 Prince Teodor Konstanty (1683-1745), the governor of Kraków tried to get a crown after the death of Augustus II the Strong. Prince Stanisław Lubomirski, the governor of Kiev, the Speaker of the Radom tribunal ran for the throne in 1764. The princes Lubomirski were also candidates to take the Czech and Hungarian crown. 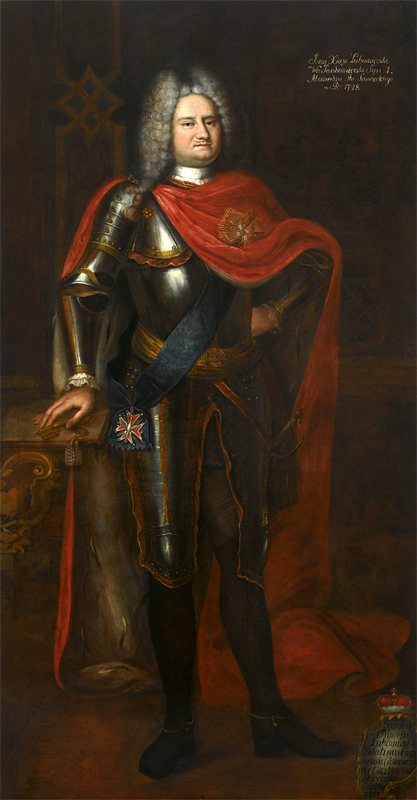 Jerzy Ignacy Lubomirski (1687-1753) sought the throne of Hungary. The culmination of this effort was performing the rank of the Prince Regent by Zdzisław Lubomirski in 1917-1918. The family of the princes Lubomirski is related to almost all the dynasties ruling in Europe, for example, the Bourbon, Capetiens, Ludolfing, Wittelsbach, Hohenzollern, Rurykowicz dynasties. The Lubomirski family is maternally related to the Piast of Mazovia family. Zofia Lubomirska was the great-granddaughter of Anna Lubomirska, the daughter of Konrad III Rudy, the Prince of Mazovia. Katarzyna Lubomirska (ok. 1585 – 1620) was the wife of Konstanty Bazyli II, the Prince of Ostróg, closely related to Bolesław IV, the descendant of Konrad Mazowiecki. The members of the family devotedly served the Homeland with talent and military skills. 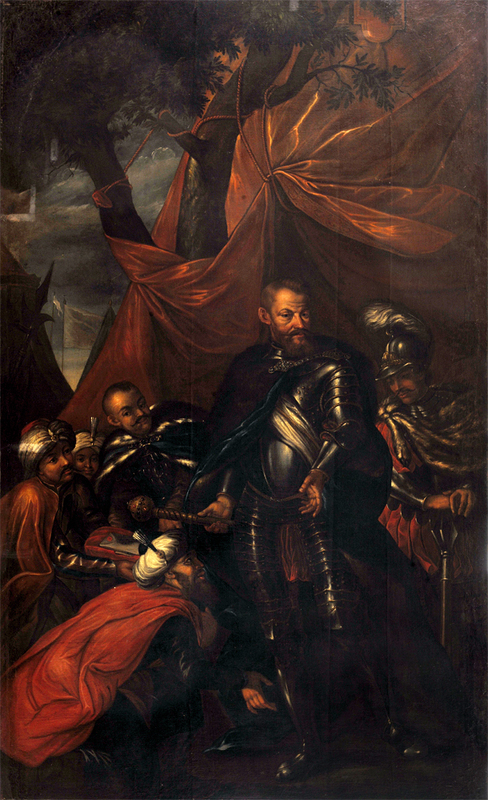 Prince Stanisław Lubomirski became famous for commanding the Battle of Chocim in 1621. 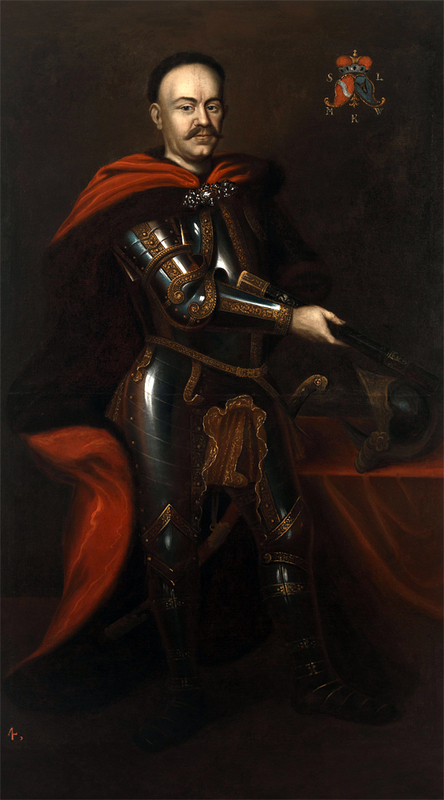 Prince Jerzy Sebastian Lubomirski (1616 - 1667) as the only Polish aristocrat during the flood did not take the oath to Charles X Gustav, gave shelter to Jan Kazimierz in his estate and launched a counteroffensive of the Polish troops. 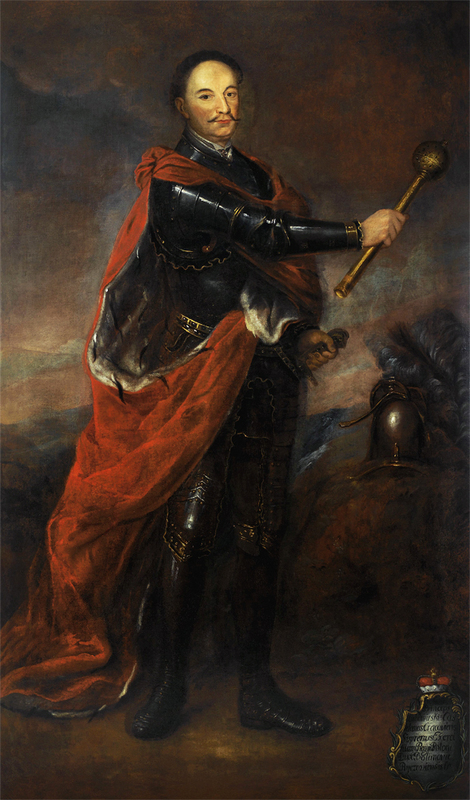 He lent his private army, which fought the battle of Warka, recaptured Warsaw and Toruń occupied by the Swedes. Stefan Czarniecki gave his support in the campaign led by the Prince. 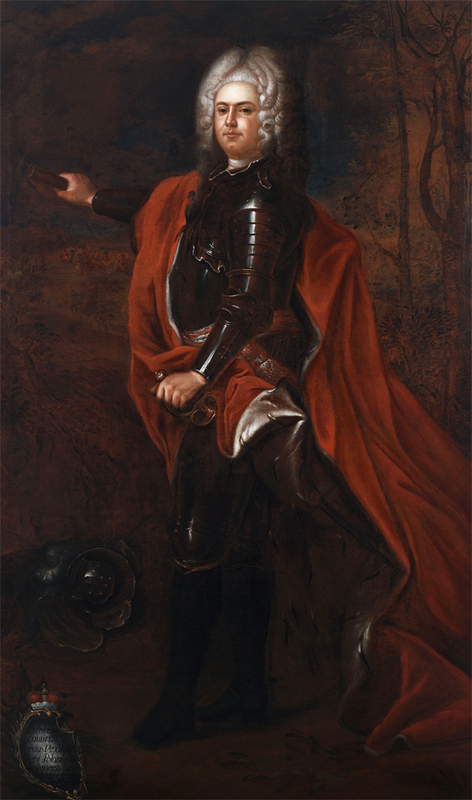 In 1660 at the head of private and royal armies he conducted a lightning campaign ended with the defeat of Russian forces under Cudnów and Połonka. It was one of the best-led military campaigns in Europe in the 17th century. Prince Hieronim Augustyn, a member of the Order of the Hospital of Saint John of Jerusalem, devoted his life to fighting the Turks – civilizational and cultural threat to all Europe. He defeated Piotr Doroszenko Cossack uprising. 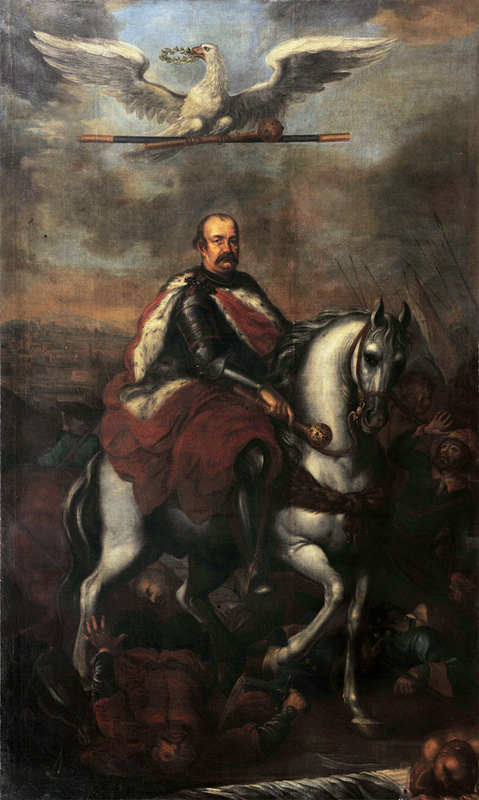 In 1670 he fought against the Crimean Horde under Bracław and Kalnik. In 1683 during the Battle of Vienna his troops first reached the city gates. In the period of the first Republic of Poland eight representatives of the family served as generals. Two of them took part in the war with Czarist Russia, from which the Kościuszko Insurrection began. The Lubomirski family was famous for exercising patronage of the arts and culture. At the family castle – Wiśnicz, which the family has owned until now and in Wilanów, the Royal Baths Park, Łańcut, Mokotów and in many other residences they supported private theatre groups, financed artists, funded religious buildings and cared for the design of private residences. Family tradition is also scientific patronage. Reconstruction of the Wiśnicz castle was made by Maciej Trapoli. The castle chapel was decorated with stucco by Giovanni Battista Falconi. Stanisław Lubomirski (1538 - 1649), who financed the renovation of the castle, also founded twenty sacred objects . 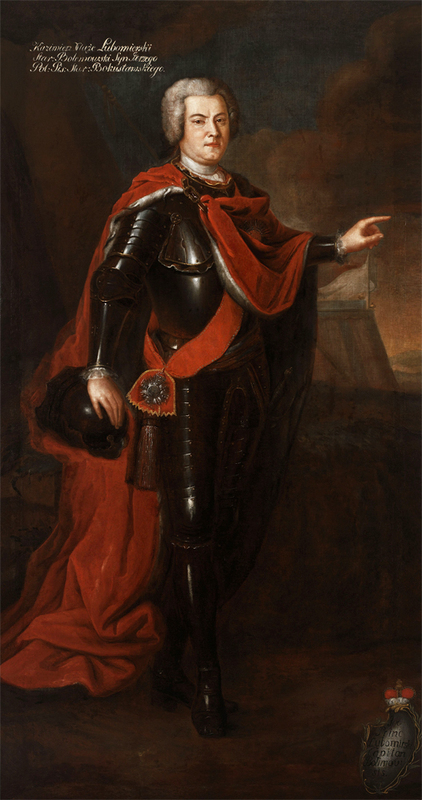 Prince Stanisław Herakliusz Lubomirski (1642-1702) was one of the precursors of the Polish Baroque in literature. To rebuild his numerous residences he hired Tylman of Gameren, later court architect of the king Mikołaj Korybut Wiśniowiecki. He owned residences in Puławy, Czerniaków (where he founded a monastery and church of the Bernardines) and in Ujazdów (now part of Warsaw). At the end of the 17th century, he built a Bathhouse here, which became the beginning of the Palace on the Water of Stanisław August Poniatowski and Ermitage – planned as a place of meditation and relaxation. The family continued its work during the great reconstruction of the capital in the 18th century, in the Saxon times and during the enlightened rule of King Stanisław August Poniatowski, also a relative of the Lubomirski family. An example of the organization of the very centre of the capital city is a reconstruction of the Copper-Roof Palace [“Pałac Pod Blachą”] commissioned in the early 18th century by Jerzy Dominik Lubomirski. The palace, which got classical shapes, situated on the south side of the Royal Castle, was bought by the king himself in 1777, who put the library there in time. The previous owner of this famous building was Prince Jerzy Marcin, especially distinguished in service to the Polish theatre. He supported this field of culture by readily financing activities of the Director W. Bogusławski. He financed exhibiting family and European art; organized numerous concerts, balls and meetings. Celebrations organized by him were a meeting place for artists and aristocrats from across Europe, whereas in memory of residents he was remembered as an organizer of public events combined with demonstrations of fireworks – Fokshali. Izabela Lubomirska (1736 – 1816) ran political and cultural activities known throughout Europe. The Marshal Princess rebuilt the castle in Łańcut, gathered art collections and libraries, containing hundreds of the most valuable works from around the world, laid the foundation stone of the National Theatre in Warsaw. She was very politically active; during the revolution she protected part of the French court in her estate in Łańcut. She extended her residences with great initiative, built a palace on her estate in Mokotów. She gave the name to this district of Warsaw, specifying her estate Mon Coteau (My Hill). For her, Franciszek Karpiński wrote the “Song about the Lord’s birth”, better known under the title “God is born”. In honour of her daughter, the Marshal Princess, Cyprian Kamil Norwid wrote a panegyric. Tadeusz Kościuszko set out from the residence in Łańcut and went to Kraków, from where he started an uprising across the country. Prince Stanisław Lubomirski went down in history as a perfect administrator of the capital city. He introduced here permanent lighting of the streets and supported a police unit with his private money. Above all, he wished to care for the health of the Varsovians, therefore he decided to surround the city, on both sides of the Vistula, with an earth bank, which was initially to protect against the spreading plague epidemic. Only three crossings were created in the embankment, in which people and carts entering the city were controlled. Later, the embankment reinforced with guns was used to defend the capital during the Kościuszko Uprising and the November Uprising. Throughout the 19th century it marked the boundaries of the city. The Prince introduced many other improvements, without which we cannot imagine urban space in today’s shape. By the Act of 1770 he introduced permanent street names, which greatly facilitated the administration of the city and its functioning organizing the registration issues or providing correspondence . Prince Marceli Lubomirski for many years supported the work of Cyprian Kamil Norwid, was also his friend. He was immortalized by the poet in the book “White Flowers”. 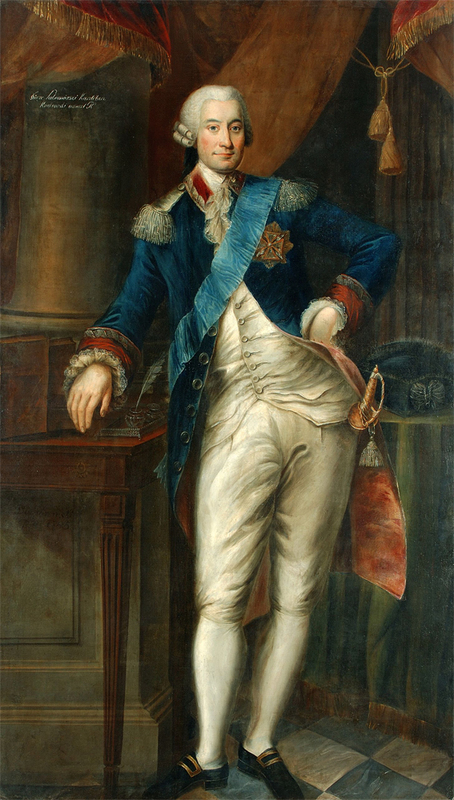 Prince Józef Lubomirski (1751 - 1817) was a promoter of the country industrialization and reforms, capable military commander, a knight of the Order of White Eagle (the highest state distinction) and the Order of St. Stanislaus. He supported the Constitution of May 3. The Lubomirski family built private schools for pupils on their estates. They often put schooling in the hands of professionals – the Order of Piarists and the Order of Jesuits. The members of the family founded monasteries, churches and other religious buildings. Prince Stanisław Lubomirski founded the Carmelite Monastery in Wiśnicz, which is still the pearl of Renaissance architecture in Poland. For many decades, residents of the castle in Wiśnicz contributed various legacies to the monastery. Jerzy Dominik Lubomirski (approx. 1665 – 1727) gave the Pauline Monastery at Jasna Góra many valuable objects, including the sacred vessels. It was his initiative to build the main gate leading to the monastery. The gate is called the Gate of the Lubomirski Family. The Lubomirski family rendered considerable services to the Nation in the period of the Partitions of Poland. At that time, cultural, scientific and charity work was as important as political and military one. They were actively engaged in clandestine and insurgent activities. Prince Jerzy Roman Lubomirski (1799 – 1865), the owner of Rozwadów, participated in the battles of the November and January Uprisings, and organized hospitals for the wounded on his estates. He was engaged in the conspiracy after the collapse of the uprising. Secret meetings of Polish patriots were held in his palace. He was also active in the social and scientific fields. He maintained a trivial school and poorhouse for the poor. He established scientific foundations. One of them dealt with the purchase of equipment for testing, the second rewarded Polish authors of outstanding scientific works. His brother Adam Hieronim Karol Lubomirski (1811 – 1873) for participation in the November Uprising was rewarded with the Virtuti Militari Cross. After suppressing the uprising, tsarist authorities deprived the family of the estate. In 1883 Prince Henryk Lubomirski (1777 – 1850) gave his rich collection to the Ossoliński National Institute in Lvov, which since then became an important scientific and cultural institution, famous not only in the Polish land, but in all Europe. Without the material and financial support, which Ossolineum received from Prince Lubomirski, the facility would have collapsed at an early stage of activities. It would have had no chance to exist either as a museum or as a publishing house or as a cultural institution. Henryk Lubomirski for many years served as a curator of the facility. He contributed to the formation of the Museum of the Princes Lubomirski, the first private museum in the Polish land, generally available to the public. He was a friend of Zygmunt Krasiński and a model for the main character of Orcio in “Non-Divine Comedy”. Prince Henryk Lubomirski in 1823 created the entail of Przeworsk. As a result of independence activities of the creator, the entail was legalized by the partitioning authorities only after his death. In 1869 his son – Prince Andrzej Lubomirski became the first recognized Entailer. Prince Aleksander Lubomirski (1802 - 1883) funded centres for the poor boys in the centre of Kraków (today’s seat of the University of Economics) and girls in Łagiewniki (today’s sanctuary highly regarded by Blessed John Paul II, where Saint Sister Faustina experienced revelations). In these centres the poor young people were prepared for adult life. Practical professions that could be the basis for future employment were taught for free. A difficult and demanding role fell to Jan Tadeusz Lubomirski. He worked in the period of the Partitions of Poland, when the national identity of Poles was particularly at risk, while the people were poor and in many cases without a chance of decent life. Prince Jan Tadeusz Lubomirski (1826 - 1908) founded the Warsaw Charity Society. He was the long-standing president of the Ophthalmology Institute in Warsaw, which conducted ophthalmology research at the European level. On his initiative special teams were set up which helped the poor people to cure eyesight and worked free of charge to patients. During the January Uprising he was a member of the Government of Romuald Traugutt, where he served as a head of the Department of Internal Affairs. For anti-tsarist activities he was exiled deep into Russia. Throughout all of his life, he conducted independence activities supporting Polish education. He protected Polish vocational organizations from competition from Russia and Prussia; established credit unions. He tried to regain possession of Polish art robbed during the wars by the Russians, among others he regained the Poniatowski monument standing in front of the Presidential Palace. He also restored and renovated the Zygmunt’s column, and bought Polish castles in Czersk and Iłża in order to save them from annihilation. In 1875 he created the Museum of Industry and Agriculture in Warsaw (today the seat of the Central Agricultural Library). He established evening schools for craftsmen and journeymen as well as penny-saving banks for the poorest. He financed the publishing of sources to the history of Poland, professional magazines; organized free libraries; was interested in archaeology . The Lubomirski family supported many areas of Polish science; it is difficult to find a branch of knowledge, in which they did not make their presence felt. Another example of such activities taken in the area of Warsaw is the support given to the Zoological Cabinet of the University of Warsaw, assigned by Władysław Emanuel Lubomirski. The prince invested in the purchase of teaching aids, financed trips of employees of the university, and handed over his collection of shells. He was interested in floristics, studied the behaviour of plants in the changed climate conditions. The Zoological Museum of the Institute of Zoology of the Polish Academy of Sciences (“PAN”) has been making use of his collections until this day. In the late 19th and early 20th century Władysław Lubomirski (1866 – 1934) conducted broad cultural activities. A patron and founder of the group of artists of Music Young Poland. He financed education and promoted Karol Szymanowski, Artur Rubinstein and Grzegorz Fitelberg for many years. He financed Warsaw Philharmonic at the time when tsarist officials were planning to close it down, as a bastion of Polish culture. Princes Władysław Lubomirski and Jan Tadeusz Lubomirski were initiators of the creation of the Family Association of the Princes Lubomirski, which still exists today and is the owner of the castle in Nowy Wiśnicz. Prince Stanisław Sebastian Lubomirski (1875 - 1932) was a famous industrialist and financier. In 1910 he founded Warsaw Aviation Association Aviata. His initiative was to establish the first civilian pilot school and aircraft factory on Polish soil. The first airport of Aviata was located in Mokotowskie Field, the area also occupied by the tsarist army. The Prince obtained consent to use it from tsarist officials. On the 7th of October 1918, on the initiative of the Prince Regent of Zdzisław Lubomirski, after 123 years, the Polish declaration of independence was proclaimed. Published in the Polish Monitor – governmental body, in which generally applicable legal acts were and are published. After more than a hundred years Polish soldiers declared allegiance to the Homeland again, and Polish flags hang over the official buildings. In the 20th century the Lubomirski family conducted active political and diplomatic activities designed to improve living conditions of the population and regain independence by Poland. The Prince Regent Zdzisław Lubomirski (1865-1943) was the president of Warsaw for many years and a skilled politician. As the president of the Civic Committee and the president of Warsaw he extended the self-government, organized intervention works, credit unions, cared for education and living conditions of the Varsovians. He created foundations of the local government of the city. Through his activities he set directions of work for future politicians of the independent state. He also worked actively as a senator. During World War II he was imprisoned and tortured by the Gestapo. He died of wounds sustained in prison. On the initiative of the Prince Regent, yet during the First World War the creation of foundations of the Polish administration began. Existing ministries of invaders were taken over and new authorities were established. Many institutions of the II Republic were created during the regency of Prince Zdzisław Lubomirski. In difficult times of the struggle for borders, these governing bodies proved to be very solid and functional. They were filled with competent people, who still worked in the twenties of the 20th century. After regaining independence by Poland, the Lubomirski family joined the rebuilding of the country. They worked in the institutions of the new state; served as Members of Parliament, senators; worked in the ministries. They were also engaged in the process of industrialization of the young state. They formed banking centres and credit unions, which provided cheap loans to the poorest. They were active in educational organizations, and funded schools. They also belonged to the key organizations involved in modernization of roads, railways, and aviation. They took part in the reconstruction of the Polish army. They were also engaged in Polish culture and still worked on a voluntary basis. Prince Stefan Lubomirski (1862 - 1941) was an initiator of the Polish Olympic Committee and a member of the International Olympic Committee. He was the first president of the Polish Olympic Committee (“PKOL”). The next president was his cousin, Prince Kazimierz Lubomirski. Prince Stefan was passionate about racehorse breeding. He formed with his brothers the most modern horse breeding in Poland in the manor of Widzów near Częstochowa. You cannot forget about the merits of Prince Stefan Lubomirski in the field of expansion of transport of the capital city and towns located around it. He was the owner of the Warsaw Commuter Railways (“Warszawskie Koleje Dojazdowe”) company, which created the narrow gauge, passenger and freight railways – of Grójec, Jabłonków and Wilanów. Railways were the only modern means of transport, which allowed capital city dwellers to reach factories located outside the city and residents of suburban areas to get to the capital city. Lines built by Lubomirski also worked during the war delivering supply to the city controlled by the occupation authorities. Prince Stanisław Sebastian Lubomirski also established the Central Union of Polish Industry “Leviatan”, where he was the president since 1932. The union promoted the ideas of development of the industry – lowering taxes, social security benefits for workers and increasing state aid to the industry. It was also a breeding ground for personnel of politics. Members of the organization were elected to the Sejm, the Senate; were members of many governments of the II Republic of Poland and other state institutions. They had extensive information background – published three magazines: “Economic Review” (“Przegląd Gospodarczy”), “The Polish Courier” (“Kurier Polski”) and “The Telegram” (“Depesza”). He established the Industrial Bank of Warsaw SA (“Bank Przemysłowy Warszawski S.A.”); was the president of the Commercial Bank (“Bank Handlowy”) in Warsaw, the Central Union of Polish Industry (“Centralny Związek Przemysłu Polskiego”), the Polish Bank Association (“Związek Banków Polskich”), and the Association of Polish Industrialists („Stowarzyszenia Przemysłowców Polskich”). He devoted his life to the struggle for independence of the Polish economy from the influence of the partitioners, and after regaining independence – of the neighbouring countries. Many representatives of the family were engaged politically and militarily. They served as military commanders, Members of Parliament and senators. They served the homeland as patrons of the arts, promoters of Poland in the international arena, diplomats, and members of the government institutions. Prince Stefan Lubomirski (1898 – 1948) during the occupation was a member of the Western Union. He was on the list to be shot, but escaped to Kraków, where he was hiding. For keeping a secret storehouse of medicines for the Home Army he was arrested and detained in prison in Montelupich. He had a lucky escape from execution. When the invaders discovered the secret storehouse of medicines, they set the date of transport of the whole family, which was to end up in the camp in Oświęcim. The prince and the princess Lubomirski did not end up on a cattle car. They survived by a miracle. Prince Eugeniusz Lubomirski (1895 – 1982) was arrested by the NKVD, put in the Lubyanka, where he met General Anders. During the long struggles of the general, he became his adjutant. He fought at his side throughout Europe, also at Monte Cassino. He finally reached the United Kingdom. He was a candidate for the President of Poland in Exile. Prince Hieronim Lubomirski was murdered at the age of 17 during the action of rescuing Jan Bytnar “Rudy” in Pawiak. The action took place on the 26th of March 1943. It was organized by a special Unit of the Storm Groups of the Grey Ranks and led to cooperation of Grey Ranks with the Home Army within the scope of rescuing prisoners and punishing occupation authorities of the prison. The Lubomirski family also took an active part in the independence conspiracy after World War II. Prince Jerzy Ignacy Lubomirski (1882 – 1945) was very active in the local community. He travelled to Vienna to discuss the construction of the bridge over the San River, contributed to the construction of the parish church in Rozwadów. During the war he helped people particularly affected. He was arrested in 1944, detained and tortured in prison in Tarnobrzeg. He was murdered by the secret police (“UB”) as a member of the Home Army. During the war and after its end, the Lubomirski family was often harassed and kept under surveillance by the Gestapo, the NKVD and the secret police (“UB / SB”). The family estate was confiscated, and the members of the family displaced from their family homes. The family charitable tradition is continued by its members forming the Princes Lubomirski Foundation (www.fundacjaksiazatlubomirskich.pl). The organization supports the development of Polish art, science; it also develops medical and educational projects. The scope of activity of the organization is very wide, from supporting ecological construction to endowing scholarships for students, purchasing computer hardware and medical equipment to the rebuilding of especially prized monuments. Jan Lubomirski-Lanckoroński is the President of the Princes Lubomirski Foundation. A. Boniecki, A. Reiski, herbarz polski, cz. 1, Wiadomości historyczno-genealogiczne o rodach szlacheckich, t. 15, Gebethner i Wolf, Warszawa 1912, s. 56 – 57. K. Niesiecki, Herbarz polski powiększony dodatkami z późniejszych autorów, rękopisów, dowodów urzędowych i wydany przez J. N. Borowicza, t. 6, Lipsk 1841, s. 147. Elekcje królów Polski w Warszawie na Woli : 1575-1764 : upamiętnienie pola elekcyjnego w 400-lecie stołeczności Warszawy, pod red. Marka Tarczyńskiego, Rytm, Warszawa 1997, pass. T. M. Nowak, Historia oręża polskiego 963 – 1795, Wiedza Powszechna, Warszawa 1988, pass. P. S. Szlezynger, Fundacje architektoniczne Stanisława Lubomirskiego wojewody i starosty generalnego krakowskiego, Politechnika Krakowska, Kraków 1994, s. 10 – 27. S. Mossakowski, Mecenat artystyczny Stanisława Herakliusza Lubomirskiego, [w:] Stanisław Herakliusz Lubomirskie. Pisarz – polityk – mecenas, pod red. W. Roszkowskiej, Ossolineum, Wrocław 1982, s. 51 – 75. M. M. Drozdowski, A. Zahorski, Historia Warszawy, Jeden Świat, Warszawa 2004, s. 120 – 121. Encyklopedia Warszawy, red. B. Petrozolin – Skowrońska, PWN, Warszawa 1994, s. 231. B. Majewska – Maszkowska, Mecenat artystyczny Izabeli z Czartoryskich Lubomirskiej (1746 – 1816), Ossolineum, Wrocław 1976, s. 17 – 96. M. M. Drozdowski, A. Zahorski, Historia Warszawy, Jeden Świat, Warszawa 2004, s. pass. C. K. Norwid, Białe kwiaty, wyd. 3, przejrzane i uzup. PIW, Warszawa 1977, pass. A. Przyboś, Lubomirski Józef, [w:] Polski Słownik Biograficzny, red. E. Rostworowski, t. 18, PWN, Warszawa 1973, s. 26 – 27.
 http://czestochowa.miasto.biz, pobrano dn. 18 X 2011.
 http://www.kompasturystyczny.pl/index.php?option=com_content&view=article&id=370:turystyczny-szlak-gniazd-rodowych-lubomirskich-stalowa-wola&catid=44:szlaki-tematyczne&Itemid=255, pobrano dn. 18 X 2011.
 http://www2.oss.wroc.pl/index.php/aktualnosci/historia-znio/, pobrano dn. 18 X 2011. J. Bieniarzówna, Lubomirski Aleksander Ignacy [w:] Polski Słownik Biograficzny, red. E. Roztworowski, t. 18 PWN, Warszawa 1973, s. 2. W. H. Melanowski, Dzieje Instytutu Oftalmicznego im. Edwarda ks. Lubomirskiego w Warszawie 1823 – 1944, Towarzystwo Naukowe Warszawskie, Warszawa 1948, pass; H. Markiewiczowa, Działalność opiekuńczo-wychowawcza Warszawskiego Towarzystwa Dobroczynności 1814-1914, Akademia Pedagogiki Specjalnej im. Marii Grzegorzewskiej, Warszawa 2002, pass; J. Skodlarski, Zarys historii gospodarczej Polski do 1945 roku, wyd. 2, poszerz. i popr., PWN, Warszawa 1997. K. Kowalska, Lubomirski Władysław Emanuel, [w:] Polski Słownik Biograficzny, red. E. Rostworowski, t. 18, s. 63 – 64. H. Sachs, Artur Rubinstein, przeł. D. Chylińska, Wydawnictwo Dolnośląskie, Wrocław 1999, pass. H. Mordawski, Siły powietrzne w I wojnie światowej, Wydawnictwo Dolnośląskie, Wrocław, 2008, s. 45-46. "Monitor Polski” Dodatek nadzwyczajny, z dn. 7 X 1918, nr 168, s. 1. L. Królikowski, K. Oktabiński, Warszawa 1914 – 1920. Warszawa i okolice w latach walk o niepodległość i granice Rzeczypospolitej, Wydawnictwa Akademickie i Profesjonalne, Warszawa 2007, pass. Z. J. Winnicki, Rada Regencyjna Królestwa Polskiego i jej organy 917 – 1918, Wektory, Wrocław 1991.
 http://www.pkol.pl/pl/pages/display/15521, pobrano dnia 18 X 2011. B. Prokopiński, Kolej jabłonowska, WKŁ, Warszawa 2004; B. Prokopiński, Kolej grójecka, WKŁ, Warszawa 2002, B. Prokopiński, Kolej wilanowska, WKŁ, Warszawa 2001. Z. Landau, Lubomirski Stanisław Sebastian, [w:] Polski Słownik Biograficzny, red. E. Roztworowski, t. 18, PWN, Warszawa 1973, s. 56 – 58; B. Winiarski Polityka gospodarcza, wyd. 3, PWN, Warszawa 2006, s. 143 - 198.
 http://www.nw.com.pl/index.php?option=com_docman&task=cat_view&gid=157&limitstart=30, pobrano dnia 18 X 2011. E. Lubomirski, Kartki z życia mego, Polska Fundacja Kulturalna, Londyn, 1982, pass. http://www.stalowka.net/encyklopedia.php?dx=111, pobrano dnia 18 X 2011.
 fundacjaksiazatlubomirskich.pl, pobrano dnia 18 X 2011.